We offer a wide range of services from cosmetic dentistry and restorative dentistry to preventative care, to improve the dental care health and appearance of our patients. 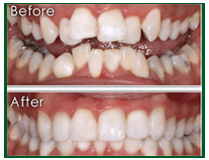 Our approach to providing cosmetic dentistry is practical and we use common sense. We understand that our patients need to make informed decisions about their dental health needs. We take the time to explain treatment options. We are very successful at working with insurance companies and identifying financial resources to help our patients afford the dental care that they want and need with our our general dentist. Click here to learn more about the preventative and restorative services we offer. 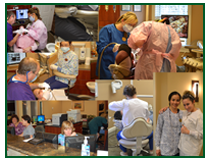 Click here to learn more about the Landmark Dental Team.